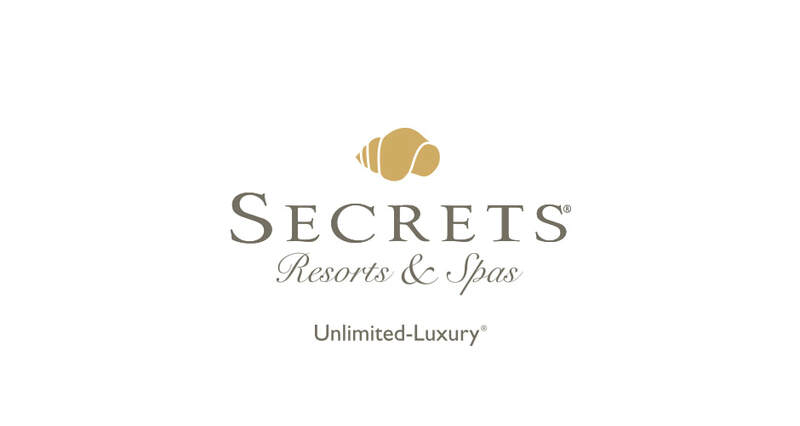 ​Secrets Resorts & Spas offer adults an extra measure of romance and sensuality in exquisite luxury beachfront settings. Guests immerse themselves in Unlimited-Luxury® where everything is included. This plus elegantly appointed rooms and suites with 24-hour concierge and room services, multiple gourmet restaurants and lounges serving top-shelf spirits, elegant amenities and endless day and evening activities, provide the ultimate backdrop for unparalleled pampering, romantic rendezvous and lasting memories for couples and honeymooners. The Unlimited-Luxury® experience includes: • Limitless access to gourmet à la carte dining options without reservations required • Unlimited international and domestic top-shelf spirits • Unlimited natural fruit juices and soft drinks • 24-hour room and concierge services • Pool and beach wait service • Daily refreshed mini-bar with soft drinks, juice, bottled water and beer • Daily maid service • Endless daytime activities and live nightly entertainment • Theme parties, oceanfront bars and entertainment venues • No wristbands required • All taxes and gratuities • Enjoy free Wi-Fi and free international calling to the US, Canada and local landlines with Unlimited Connectivity. The mobile app also allows guests to view the schedules of all events, activities and restaurants at the resort, plus to learn about local destinations, excursions, and much more! * Unlimited-Luxury® for all-adult romance.